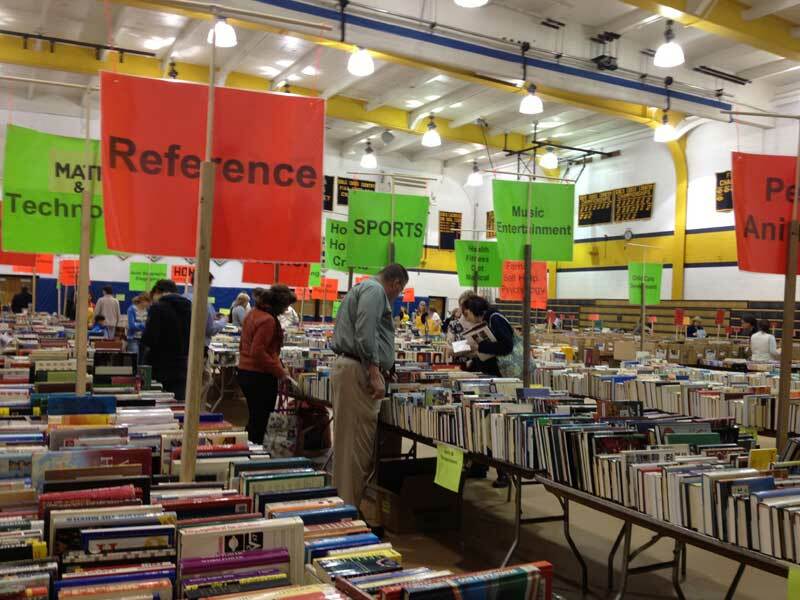 Shoppers browse at the 2013 Unionville High School annual used book sale. The 2014 version promises to be even bigger and better than ever, kicking off Friday, Feb. 21. 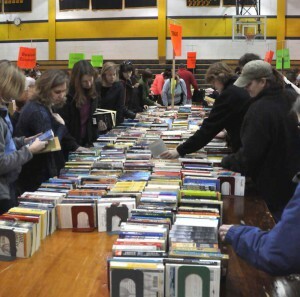 EAST MARLBOROUGH — One of the largest sales of its kind in the northeast is set to return to the Unionville High School gymnasium on Friday evening, Feb. 21, when the doors open to the annual Unionville High School PTO Used Book Sale. 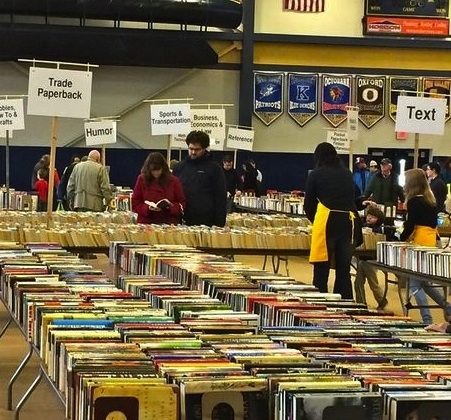 The Unionville High School PTO Used Book Sale attracts readers from throughout the region and offers tens of thousands of titles in dozens of genres, including best sellers, classics, childrenʼs books, and many others. Books for the sale were donated by local residents over the last several weeks. Other items such as CDs, DVDs, VHS tapes, computer software, and video games will also be available. Most titles in the sale are priced from 25 cents to $2. Volunteers have been busy sorting and pricing the donated items in preparation for the sale, which runs from 5 – 9 p.m. on Friday, Feb. 21, and 9 a.m-2:30 p.m. on Saturday, Feb. 22. A special $8 per bag sale — an annual highlight of the event — follows the sale on Saturday from 3 – 5 p.m.
sale are Friday, Feb. 28, and Saturday, March 1. As a special feature of the 2014 sale, local author and Unionville High School English teacher J.E. Byrne will sign copies of her acclaimed, debut suspense novel, Dead Land — published by Take Two Publishing, in 2013. The story involves the fall-out from a violent explosion and the spiritual challenges that survivors, particularly young adults, face in a post-apocalyptic world. The book boasts a solid five-star reader rating on amazon.com and is the first installment in a three-part series. The next book, Hollow Land, is scheduled to be published in December 2014. 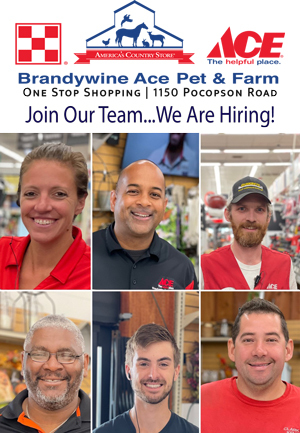 Signing times are Friday, Feb. 21, from 5 -9 p.m. and Saturday, Feb. 22, from 10 a.m.-1 p.m. 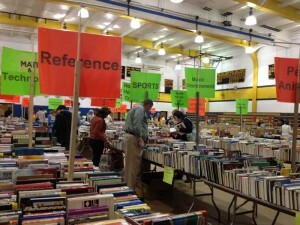 The Unionville High School PTO Used Book Sale is led by co-chairs Julie Bernstein and Cindy Hineman. It is one of the PTOʼs largest fundraisers every year. Over the past six years the sale has raised more than $200,00 to help fund various projects and programs at Unionville High School. More information is available at www.uhsbooksale.org.